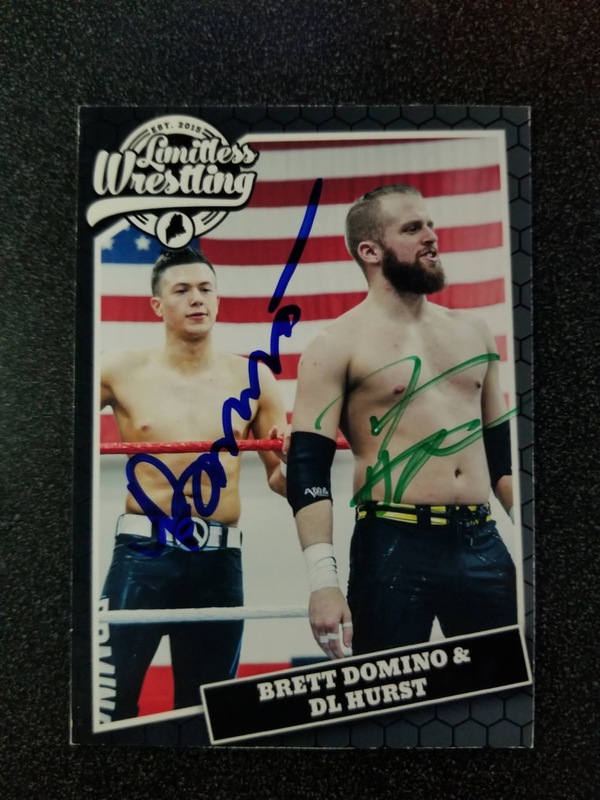 On Saturday March 9th I attended Limitless Wrestling "Welcome to the Dance" where I got these trading cards signed. You can read my report about the show here. 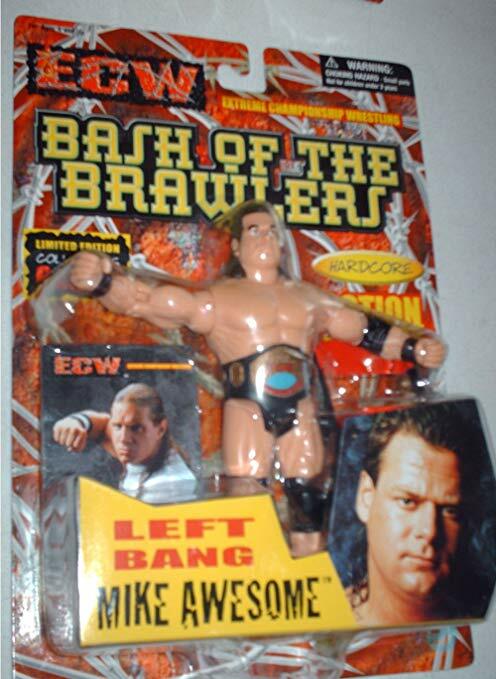 This card is from the ECW set that was released in 2000 as an accompaniment with the Original San Francisco Toymakers ECW Bash of the Brawlers Action figures. 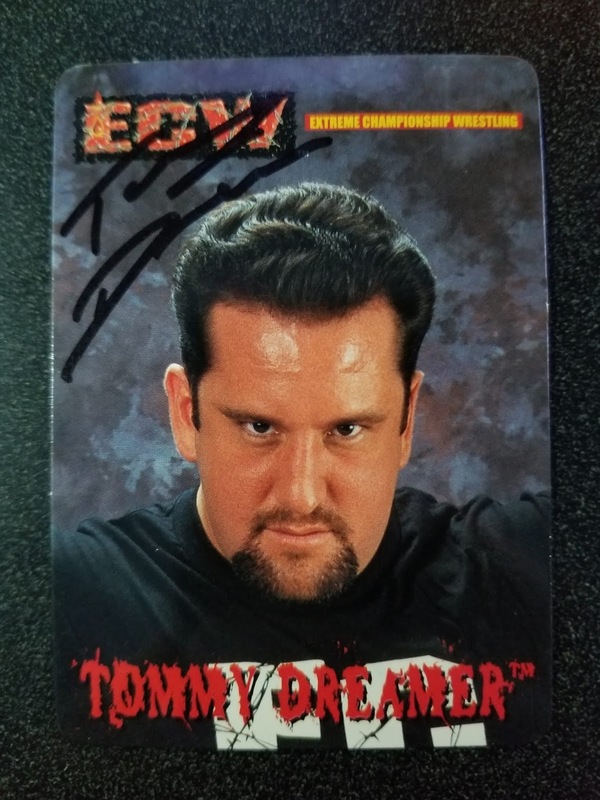 I'm not sure how many cards are in this set but I have cards signed by Dreamer, Lance Storm, Jerry Lynn, Steve Corino, and Super Crazy. Other unsigned cards that I have are Tajiri, Rob Van Dam, Sandman, & Sabu. 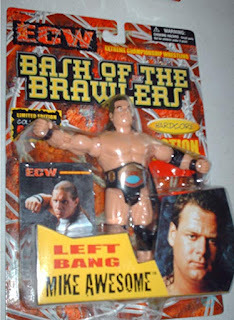 Other cards that I have seen are Chris Candido, Axl Rotten, Nova, Balls Mahoney, Little Guido, Rhino, Justin Credible, Mike Awesome, & New Jack. Each wrestler has two cards. 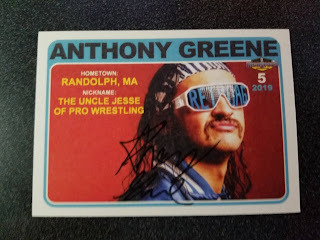 These cards and the NWA Wonderama cards are my two favorite sets to get signed because it represents my two favorite times in wrestling to go back and watch. 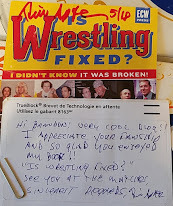 This card was released in the Highspots crate in the month of March 2019. I got this card direct from AG as he had extras. Above is the front of the card which is signed by the Platinum Hunnies and below is the back of the card signed by Greene. Typically I don't like getting the back of cards signed but the set up of the back of this card is wicked cool. These HighSpots cards are really nice and I've managed to get a few direct from the wrestlers, it would be nice if Highspots sold them apart from the subscription box. 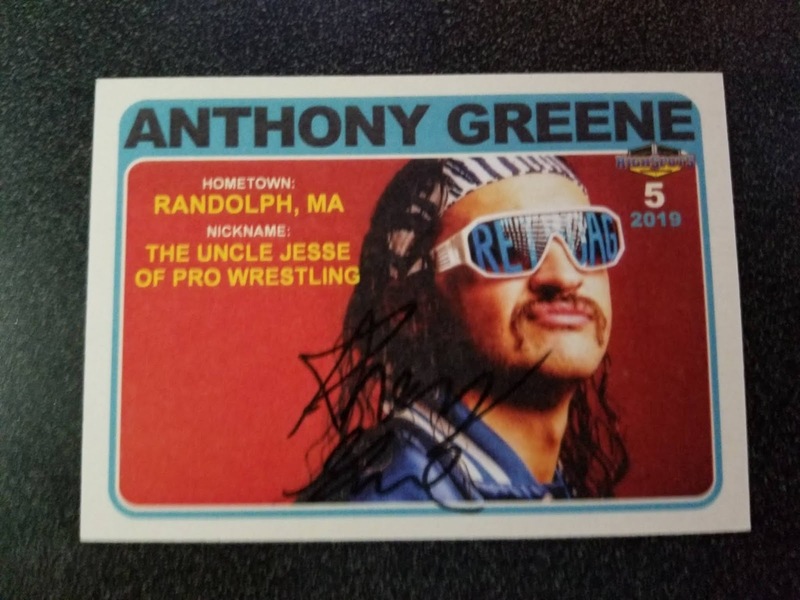 I have searched thoroughly in the past for a Teddy Hart trading card and as far as I know this is the only trading card out there that he is featured on. This card is from the Limitless Wrestling Moments set that was released after the Limitless Wrestling Series I set. This moment is from September 2017 when Josh Briggs accepted Teddy Hart's open challenge for the next show. I got it signed by Briggs back in December at Limitless Wrestling No Control in December 2018.